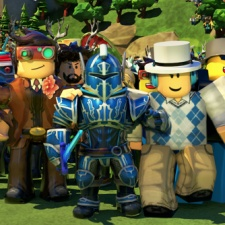 Popular kids UGC-based MMO Roblox has generated an estimated $486 million in revenue across the App Store and Google Play to date. According to mobile intelligence firm Sensor Tower, the title has reported annual revenue growth every quarter since Q3 2015. For the free months ending September 30th 2018, Roblox picked up $92 million. The figure is up 87 per cent from the earnings it made during the same period the year prior. It’s also up eight per cent ($6.5 million) from Q2 2018. Overall Roblox was the 28th highest grossing app for Q3 worldwide. The biggest markets for the game are the UK and Great Britain, generating 67 per cent and 10 per cent of sales respectively. As for downloads, Roblox has racked up around 175 million to date on mobile. US players make up around 35 per cent of downloads, while Brazilian users account for nine per cent and British consumers represent six per cent. Roblox was ranked sixth in PocketGamer.biz’s Top 50 Developer list for 2018.